The discourse about Canadians ignoring their collective past, or not knowing their national history, is neither new (Osborne, 2003) nor limited to Canada (Wineburg, 2001). Such a view tends to be legitimized according to surveys in which people fail to identify famous events and politicians. This failure is also linked with angst about the perils of the nation and questions of citizenship. It is used to justify million-dollar investments and educational reforms. However, there are other ways to look at peoples’ perception of the past. I will elaborate on these elements to support my main argument: discourse on historical ignorance can, itself, be considered a site of memory. The site is an intangible monument carefully crafted, erected for political purposes, widely visited, and dedicated to a particular relationship between Canadians and their national past. In my conclusion, I will highlight another view, not so popular and influential, which claims “We Are Not a Nation of Amnesiacs” (Francis, 2014). In 1997, the Institute made its inaugural splash with its first annual history survey, which tested general knowledge. 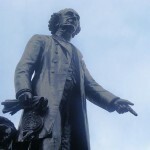 The discovery that only 54 percent of Canadians polled could name Canada’s first Prime Minister (Sir John A. Macdonald), and only 36 percent knew the date of Confederation (1867). Since then, the Institute’s polls have filtered into the national discourse: They have been quoted in more than 2,000 media stories and routinely incorporated into political speeches. More than two in five Canadians (42%) could not identify Macdonald as the country’s first Prime Minister. However, knowledge levels have modestly improved since 2001 when half (49%) could not identify Canada’s first Prime Minister as Sir John A. Macdonald […] (Dominion Insitute, 2009, p, 1). In Quebec, La Coalition pour l’histoire commissioned a similar survey in 2012 to advocate for changes in the history curriculum. In that poll, it was found that 94% of those surveyed (n=1,021) were unable to identify Pierre-Joseph-Olivier Chauveau, the first Prime Minister of Quebec (Léger marketing, 2013). In 2002, historian Desmond Morton declared, “Canadian ignorance of our history is commonplace, and not just among professors. Politicians and business leaders repeat the mantra” (Morton, 2002, p. 38). This statement demonstrates that scholars as well as people in power endorse the ignorance of history discourse. Governments refer to it to support their multi-million dollar investments toward history commemoration and curriculum reforms. If we don’t do things like what we’re announcing here today, I really do believe that this country is in serious jeopardy, because we have young Canadians who don’t know about Canada’s past, who don’t know from where we’ve come, who don’t know the possibilities that we have in the future and the privilege that they have in being able to call themselves Canadian. […] when you consider that in only four of Canada’s 13 provinces and territories, is it mandatory for a student to take a history class to graduate from high school. I think it’s little wonder when the Historica-Dominion Institute comes out with surveys that show how impoverished our kids are in their basic understanding of Canada’s basic history (Global News, 2012). History education falls under provincial jurisdiction, limiting this Conservative government’s ability to directly affect possible reforms of the subject matter (although, they have cut funding to the Historical Thinking Project that inspired reforms of the history curriculum in Ontario and elsewhere). Nevertheless, Moore’s lament about Canadian youth is also found at the provincial level. In 1994 and 2013, two Québec ministers of Education, respectively Jean Garon and Pierre Duchesne, used the historical ignorance argument to justify the need for a history curriculum reform (Ouimet, 1995; Radio-Canada, 2013). Duchesne defended its proposition to make history a mandatory subject in cegep by labeling youth “deficient” in knowledge about their province. This argument was copied from the report named “Je ne me souviens plus [I don’t remember]” – a title mocking Quebec’s motto – written by Gilles Laporte, who is one of the founding members of La Coalition pour l’histoire. Think-tanks such as the Historica-Dominion Institute and La Coalition pour l’histoire are manufacturing evidence about people’s ignorance of history. This manufacturing process has been well documented in the States (Halvorsen, 2012). Politicians and other activists use manufactured evidence from survey results to influence public opinion about the necessity to invest millions of dollars in history commemoration and school curriculum reforms. Incredibly, since many commentators had surveyed American ignorance, no one had actually investigated how Americans understood and used the past. And we believed that we needed to seek out and listen to the voices of the people who were being denounced for their ignorance. Many researchers have contested the validity of the discourse on historical ignorance. To support their claims, they’ve recommended surveys that include no factual questions, but open ones, such as: “How important is the past of Canada to you?” (Conrad et al., 2013). This open question comes from the Canadians and Their Pasts project which benefited from a SSHRC’ million-dollar grant and relied on a survey of 3,419 Canadians. The project results dispute, and add much greater complexity and diversity, to the so-called historical amnesia of Canadians. In addition to the 2013 book, some historians have written about the project conclusions (e.g. Buckner, 2014; Francis, 2014; McGregor, 2014), but only to a limited audience. To date there has been little attention by media and politicians on the findings of the Canadians and Their Pasts project. Why is this? Perhaps, they are not that interested in a counter argument that would delegitimize some of their claims and, by association, put into question multi-million investments and educational reforms. Perhaps also, advertizement for that project was minimal compared to the “impeccably timed and well-publicized Dominion Institute surveys (Seixas, 2006).” By virtue of popularity, authority, and influence, the discourse on the ignorance of history acts as a site of memory. Like other sites, this one silences alternative memories, such as the one portrayed in the final sentences of Canadians and Their Pasts: “The past is not past. History – as people’s knowledge, as medium of public conversation, as academic pursuit – lives” (Conrad et al., 2013). This post originally appeared last week on Teaching the Past, a blog run by The History Education Network (THEN/HiER). This post was written as part of Dr. Lorna McLean’s graduate course on public memory.